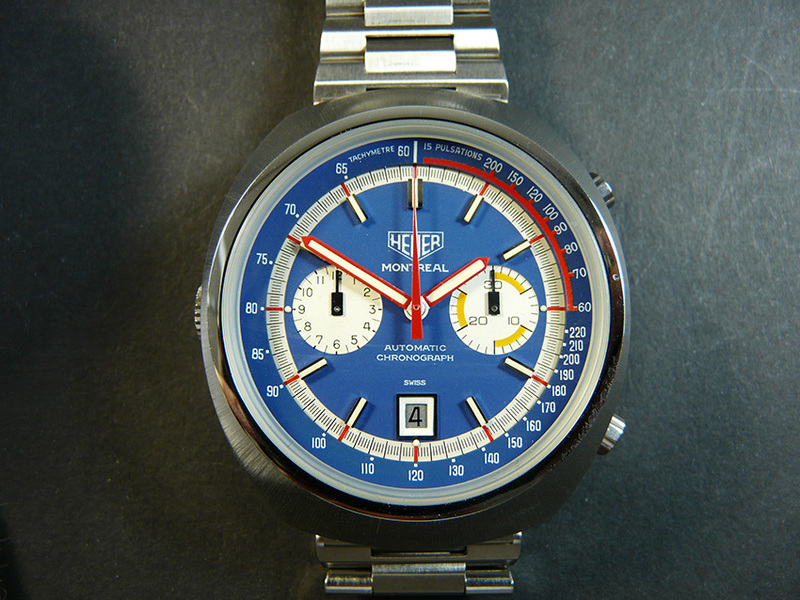 This new model fit the Heuer strategy of expansion to the North American market. 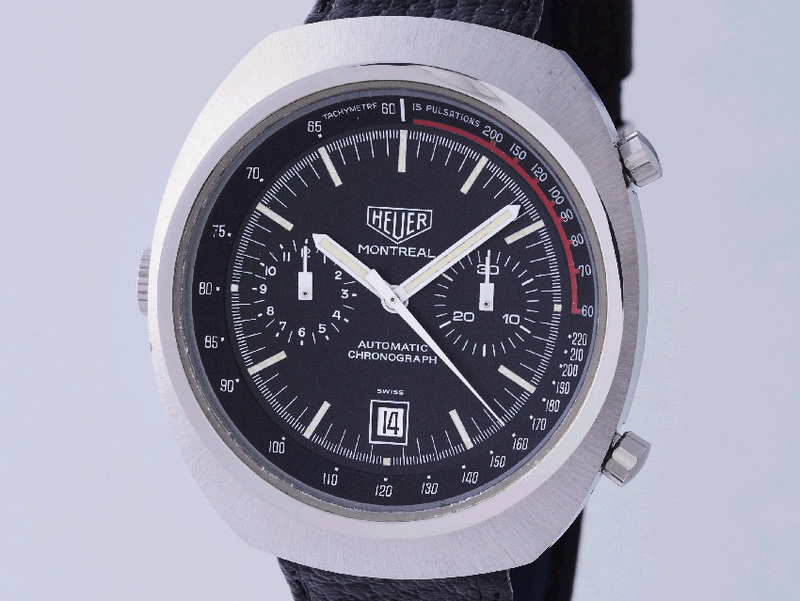 1976 the Olympic Games took place in Montreal, the second largest French speaking city in the world. 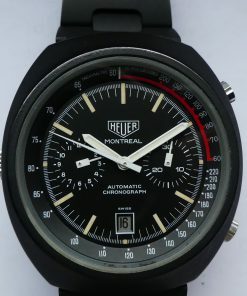 Formular One racing has also hosted a race in Montreal every year since 1978. 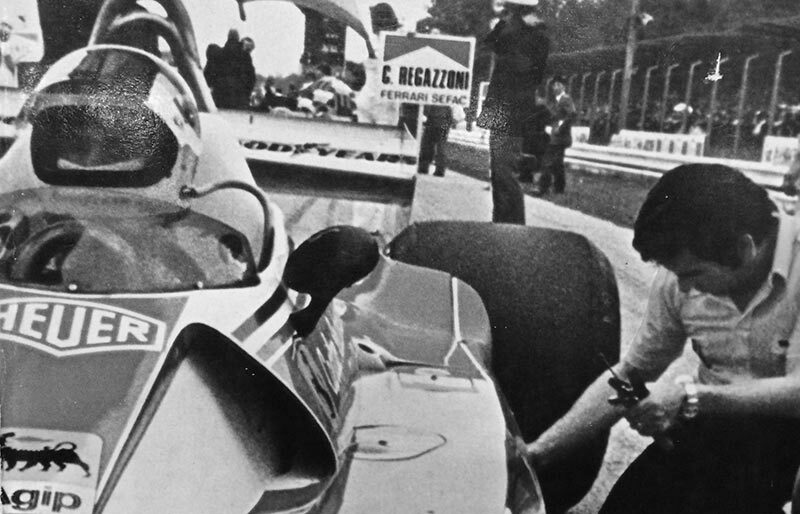 The Candadian Grand Prix takes place on the Circuit Gilles Villeneuve. 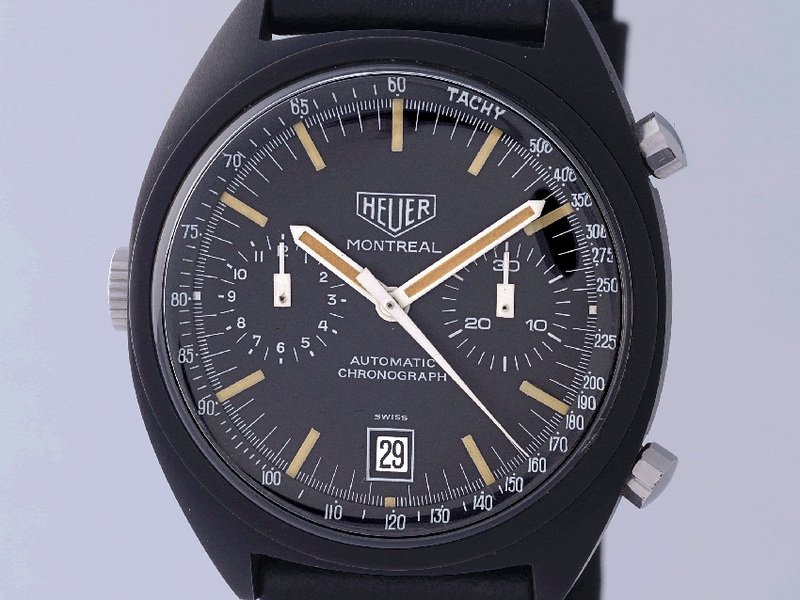 The new model line won over consumers with a totally new, modern and almost rectangular design. 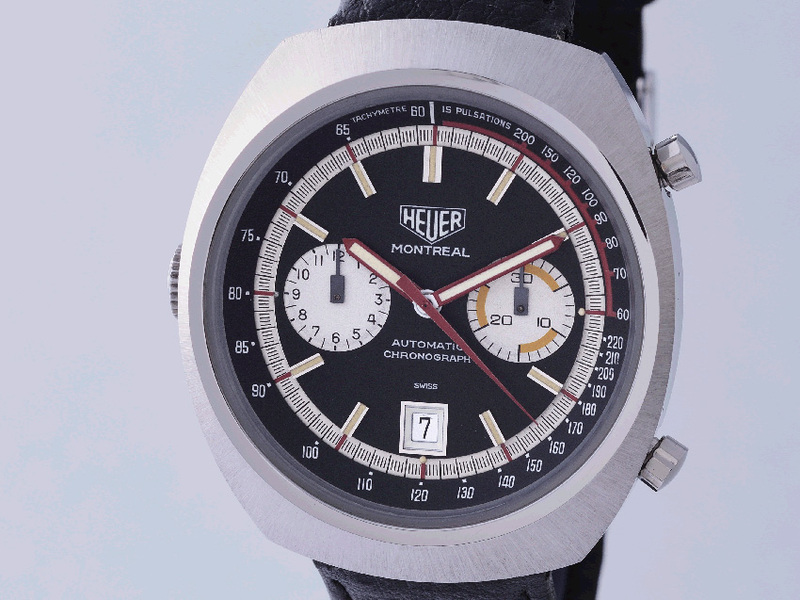 This model series remained in the portfolio until the end of the 1970ties and emphasized its role as a design innovation. 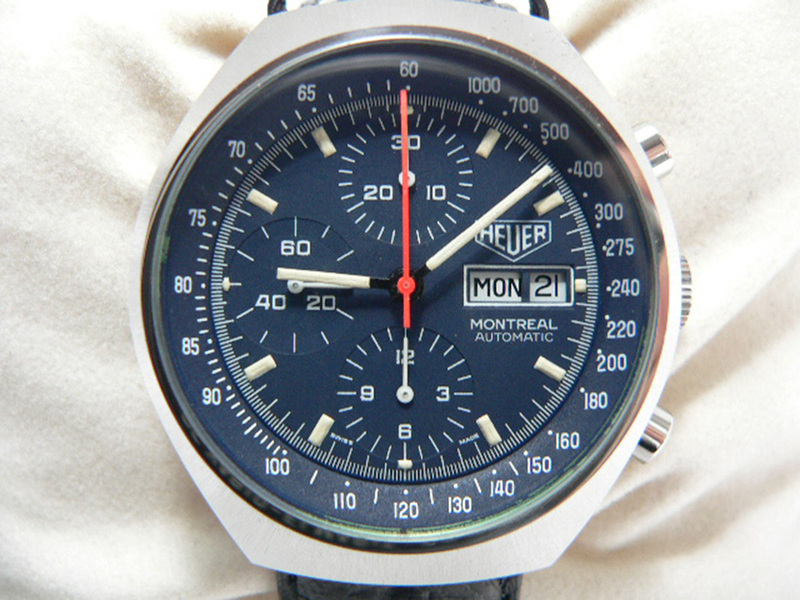 The young promising German Formular One racing driver Stefan Bellof was frequently seen wearing a Heuer Montreal belonging his father. 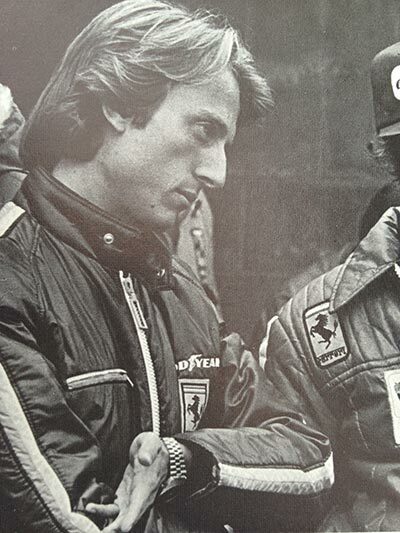 He accidental death on the racetrack in Spa on 1st of September 1985 shocked the motorworld. 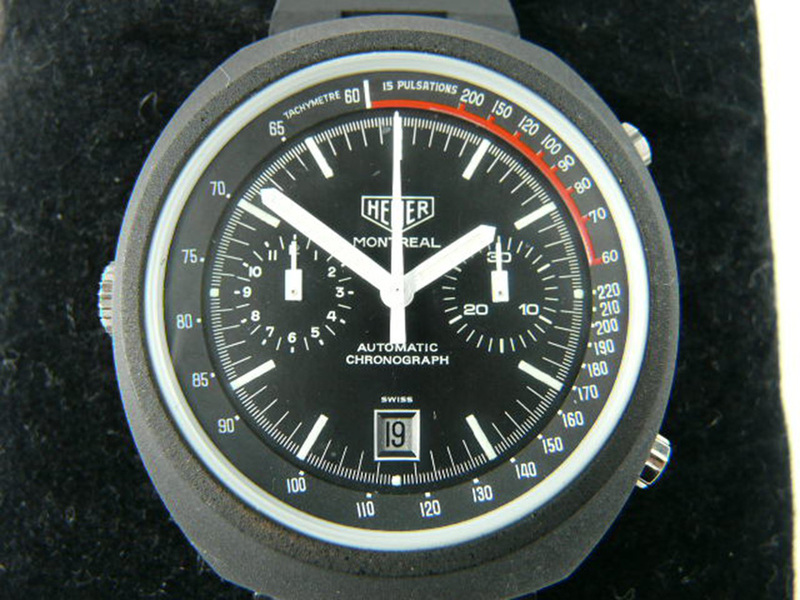 This Heuer Montreal is on display in Stefan-Bellof-Memorial nearby Gießen, Germany. 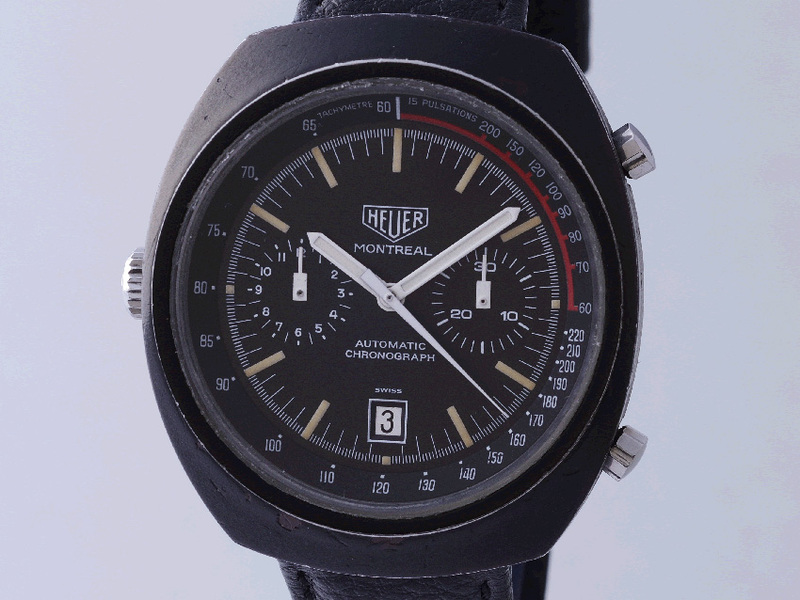 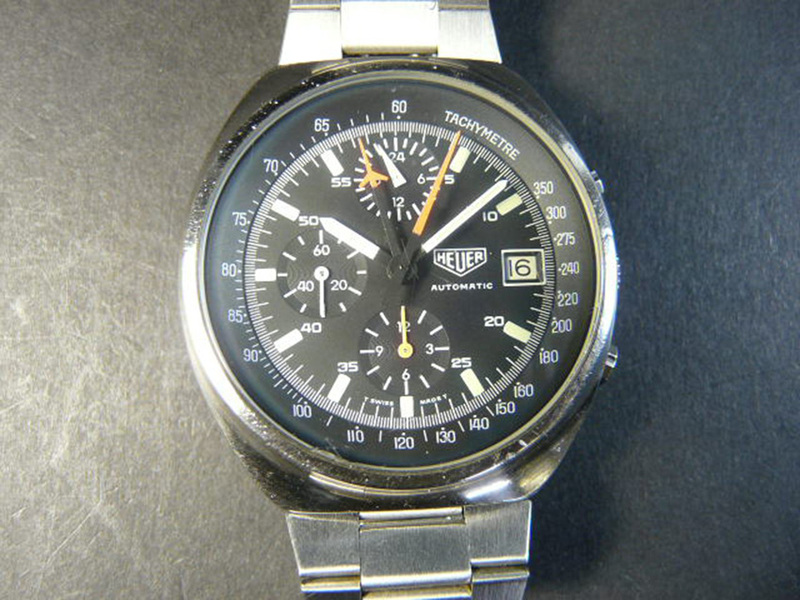 The Heuer Montreal was only produced as automatic chronograph with calibre Heuer / Buren 12 from 1972 until 1982. 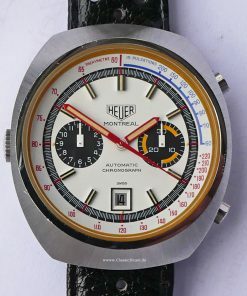 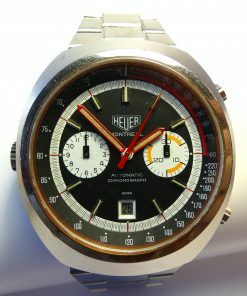 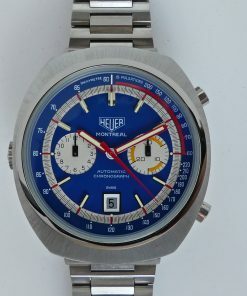 Die Heuer Montreal wurde von 1972 bis 1982 als Automatikchronograph produziert. 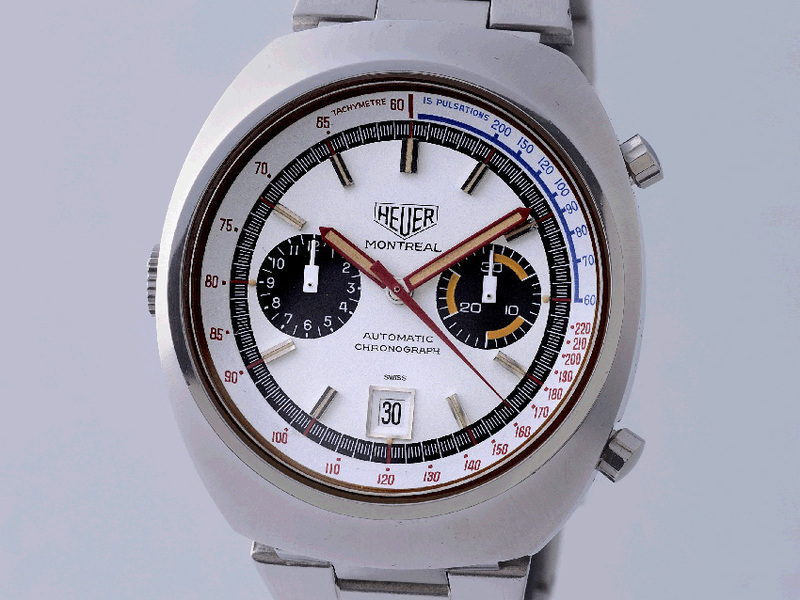 Of particular note are the highly contrastive dials with tachymeter and pulsation scale. 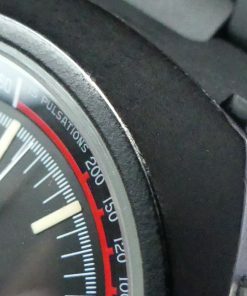 All variations of the model line have the same case.